Circle was Pete Cummins' group prior to The Grassband, formed circa 1966. John Ryan joined Granny's Intentions circa 1967, followed by Pete Cummins a couple of years later in 1969 approx. Ryan and Cummins had both earlier been in the Stepping Stones. 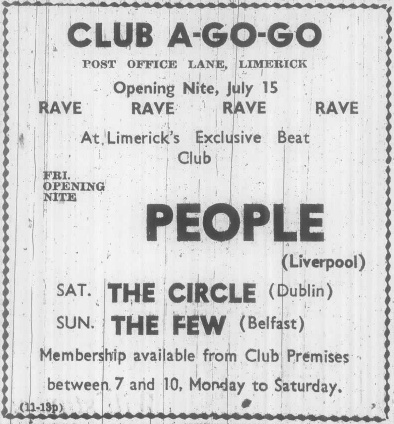 Playing the second night at the opening week of Club A Go Go in Limerick in July 1966.